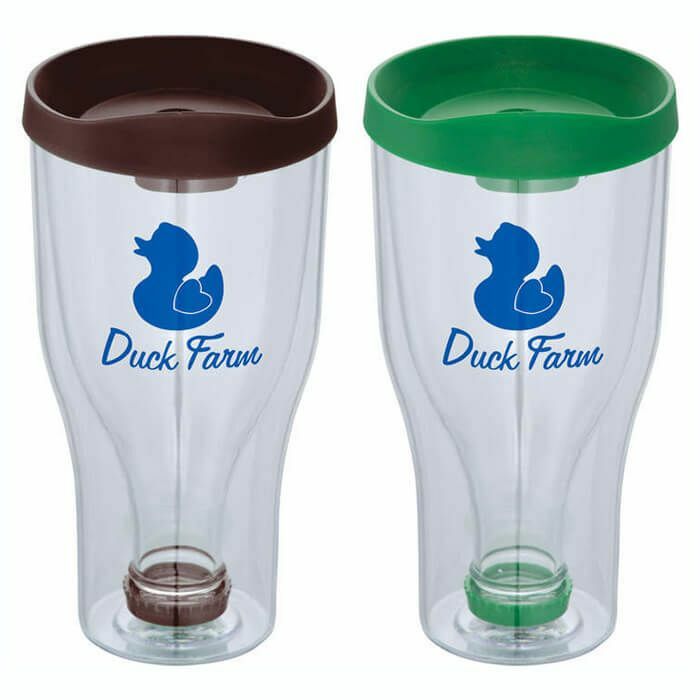 Protect your favorite beverage with this fun tumbler. Perfect for concerts, tailgating and other outdoor events. Push-on lid with slide-lock drink opening. Imprint Area One Color: 2.00" H x 3.00" W; Multi Color: 2.00" H x 2.00" W; Wrap: 2.00" H x 7.00" W.